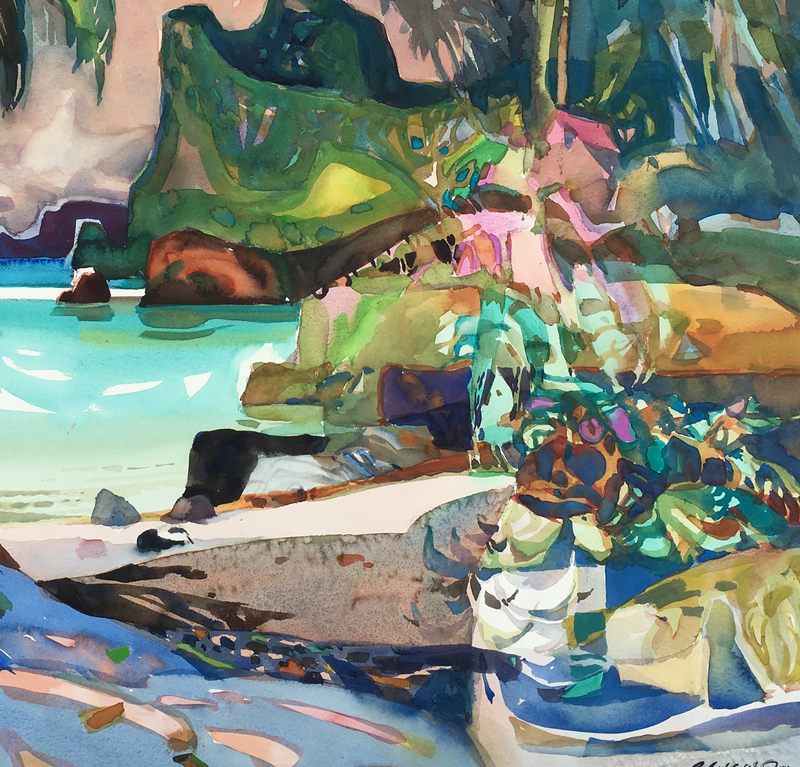 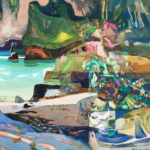 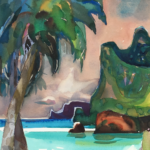 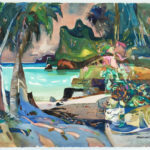 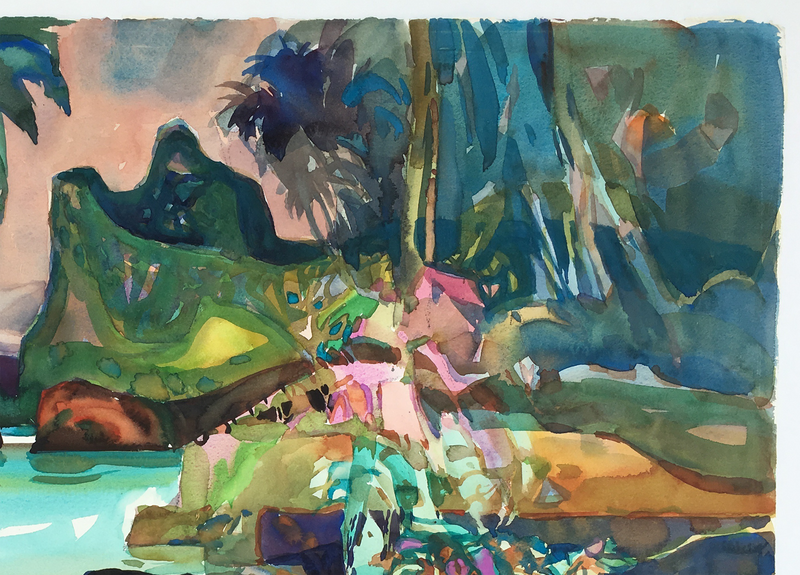 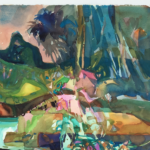 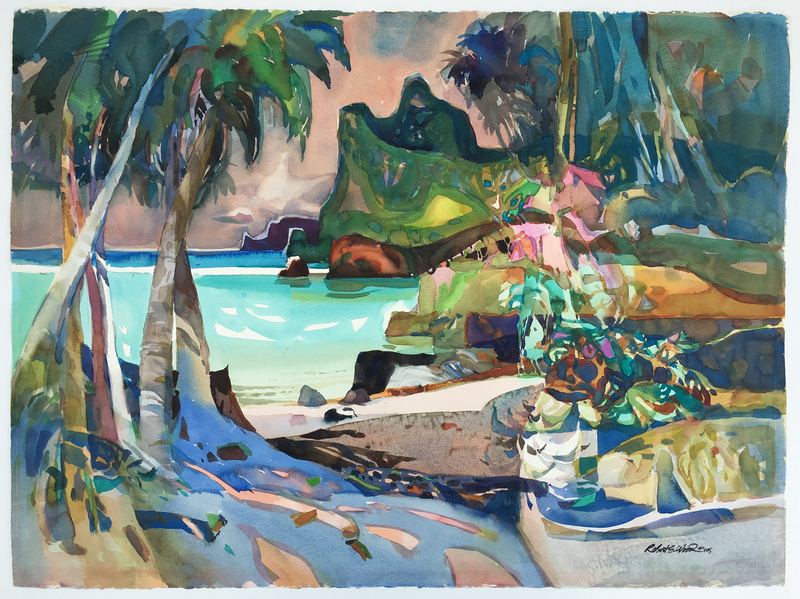 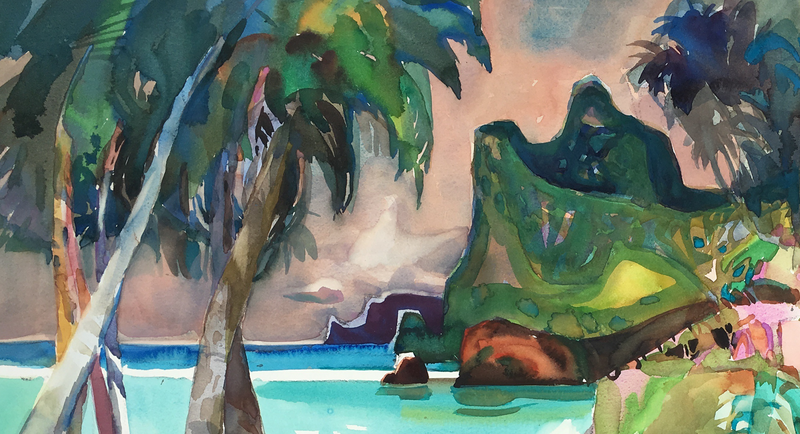 Description: Original watercolor on Arches paper by Californian artist Robert Earle Wood (1926-1999) titled “Peacock Cove.” A very colorful landscape of a tropical beach scene. 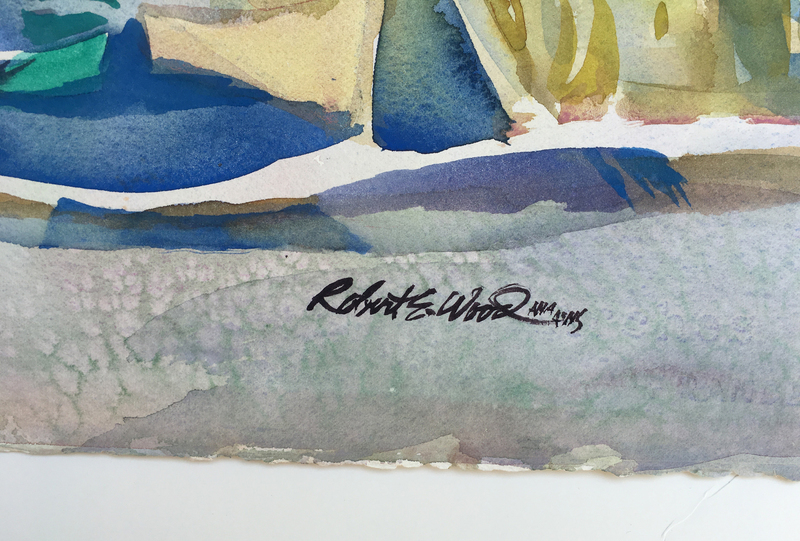 Quite a striking piece when viewed in person. 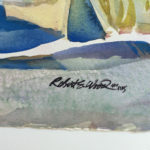 Signed lower right by the artist.